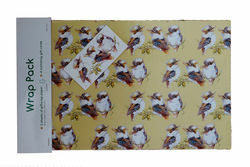 Gift wrapping made easier with these Gift Wrap Packs for friends and family here and overseas. These Gift Wrap Packs are not just beautiful gift wrap and cards that would make any gift just that little more special, they are also made from soy inks and certified sustainable forests, and they are made in Australia and they help Koalas too! Who would have thought gift wrap could be so much! 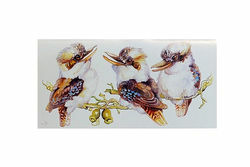 This beautiful gift wrap and cards feature the ever lovable larrakin of the bush, the kookaburra. Designed by the very talented Australian Artist, Lynn Naismith. Laughing Kookaburra – gets its name because of its well-known calls. It really does sound like its laughing. They live on mostly insects, worms and crustaceans, small snakes, frogs and more. Laughing Kookaburra’s a mate for life. They build nests in tree hollows and even termite mounds. Kookaburras are also known as the bushman's alarm clock. 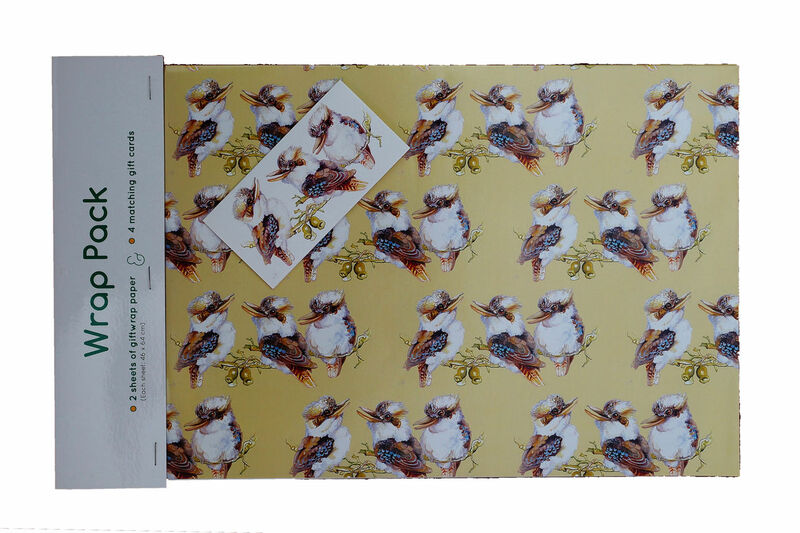 Your purchase of this beautiful gift wrapping paper helps support the work of the Australian Koala Foundation to protect the koala and its habitat. Koala Hill Craft donates part of the items price to the Australian Koala Foundation and The Land Down Under is pleased to support them both by stocking Koala Hill Crafts beautiful stationery.